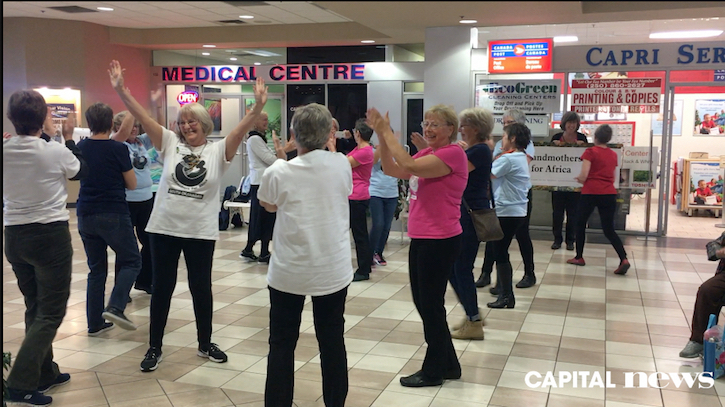 Flash mobs were organized across the globe on Thursday. “It’s a huge problem. Although inroads are being made and there have been huge improvements there are problems that have not been dealt with,” said Norma Lippa, of Grandmothers for Africa. According to a national survey, an estimated 75,500 Canadians were living with HIV at the end of 2014. That represents an increase of 6,700 people since 2011. Of persons living with HIV, an estimated 52,220 were diagnosed, 39,790 were on antiretroviral therapy, and 35,350 had suppressed viral load.